For over temperature and burnout protection of Heat Sinks, the Thermal Overload Protector Model BPM is best suited. 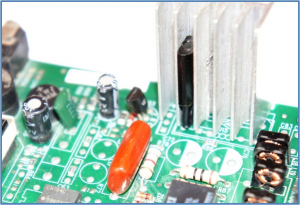 To cater to the requirements of the electronics industry in India, our engineers have especially developed the Model BPM thermal cut-out for heat sink over-temperature protection. With our focus on quality and the extensive R&D and manufacturing facility in India, our engineers have developed the thermal cut-out Model BPM. This marvel of precision engineering and miniaturization is the smallest thermal overload protector in our entire range of products. This thermostat has been specifically designed for over temperature protection of electronic equipment by sensing temperature rise of heat sinks. 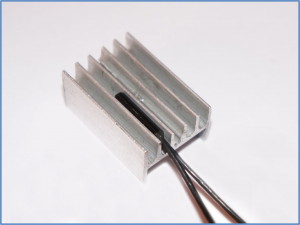 Since this thermal cutout has a thickness of only 3.3mm, it can be placed between the fins of a heat sink. Any adhesive such as silicone glue, epoxy, etc. can be applied over the thermal cutout so that it is permanently fixed in place. Our snap action bimetal thermostat operates on the over center mechanism, which gives it a quick restart characteristic and stable trip temperature, even after continuous usage. The normal snap action disc thermostats have a delayed restart and the trip temperature drifts downwards after continuous usage. Due to small size, the response to heat rise is fast, and when the equipment overheats, the thermal cut-out trips off, thereby, ensuring complete protection to all electronic equipment against over heating. It is available with Normally Closed (NC) or Normally Open (NO) contacts. The internal mechanism is fully spot welded on a steel housing plate. Due to sophisticated materials used and intelligent design, the size has been reduced without affecting the operating characteristics of the thermal overload protector. The outer body is made of high temperature resistant engineering polymer. Lead wires are teflon insulated. The internal tripping contacts are solid silver alloy for long life. The body is sealed and resistant to moisture, gases, fumes and varnish. It is available for any trip temperature required from 50 degrees C to 160 degrees C.
Small size for easy fitting. 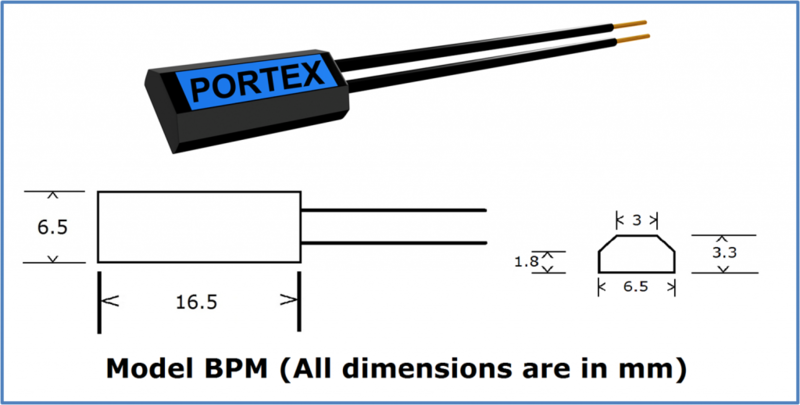 Use of Model BPM is recommended in applications where temperature of heat sinks need to be sensed for over heating and burnout protection. The thermal cut-out is connected in series with the main circuit or a control circuit. In case of over heating, the temperature of the heat sink will rise and the thermostat will sense this and trip off, thereby, switching off the main circuit and saving the equipment from burning out. 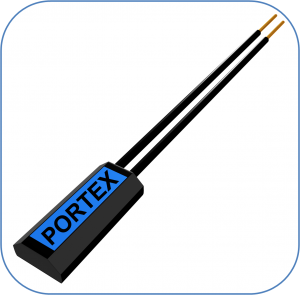 This model is also available with Normally Open (NO) contacts, so that it can also be used to provide an indication or signal of over heat by connecting it to a fan or a control circuit, which is activated when the contacts close. The trip off temperature is specified by the customer and supplied factory preset. It cannot be changed or adjusted afterwards. Please consult us for complete technical guidance. Switching Action SPST Normally Closed (N.C.) or Normally Open (N.O.) contacts which open or close with a snap action at a preset temperature. Restart Mode The thermostat/thermal overload protector will automatically restart upon cooling. This will automatically restore the power supply and switch on the electronic equipment. Adequate precaution must be exercised in heat sink protection applications where automatic thermostat/thermal overload protector restart can cause injury. Fitting or Mounting The thermostat/thermal overload protector is placed in between the fins of a heat sink. It can be fixed in place by applying any adhesive such as silicone glue, high temperature epoxy, etc. Connections Thermostat/Thermal Overload Protector can be connected in series with the main circuit or it can be connected to a control circuit, relay, contactor, etc., which can provide an indication of overheating. The model with Normally Open contacts can be connected to a fan which will operate it when the equipment overheats and the contacts close.